Prescription blood thinner Xarelto® can help many patients avoid strokes due to clots in the bloodstream. However, this medication carries considerable risks, so it’s vital that patients understand who should take the medication and what can happen. The following warnings about Xarelto come from its drug makers, Janssen Pharmaceuticals and parent company Johnson & Johnson. What Are the Biggest Risks of Taking Xarelto? The biggest danger of taking a blood thinner is the risk of uncontrollable bleeding. Janssen warns that patients taking Xarelto are more likely to bruise easily, and it will take longer for bleeding from cuts or trauma to stop. 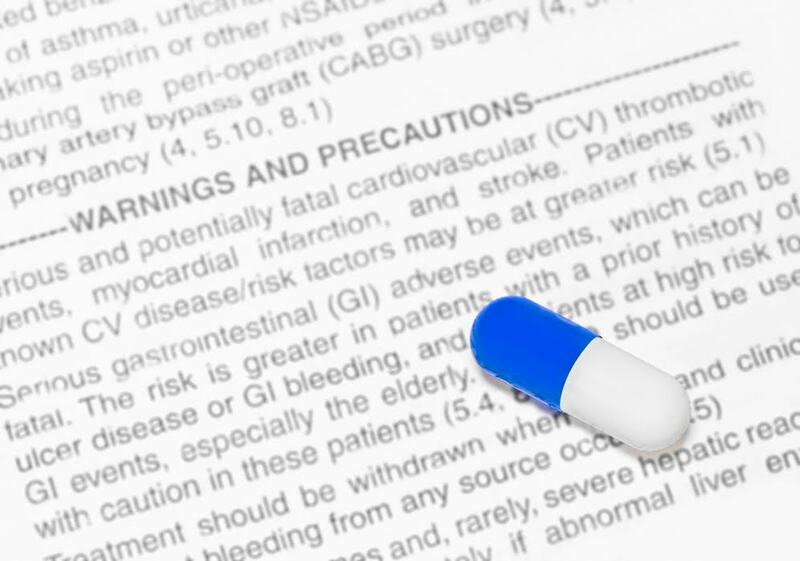 The risk of bleeding caused by Xarelto can be severe and may even cause death. Unlike other FDA-approved blood thinners, Xarelto does not have a known antidote, making it more likely that bleeds become fatal. Xarelto may also interact with other medications, or medicines used during certain medical procedures. Patients should provide their doctors with a full list of their medications, including over-the-counter drugs, vitamins, and herbal supplements, as some of these can increase the risk of bleeding. Patients should also be aware of the dangers of st opping Xarelto treatment suddenly, changing the dosage, or switching between medications. Any of these actions can cause blood clots or increase the risk of severe bleeding. Your physician should first review and approve any changes to your Xarelto regimen. Is Xarelto Only Used After Surgery? While Xarelto (rivaroxaban) is often used after an operation to prevent blood clots, it’s also used with patients suffering from a condition called atrial fibrillation, or AFib. People with AFib have irregular heartbeats, increasing the chances of a blood clot forming in the heart and traveling to the brain. Not only is a stroke five times more likely to occur in someone who has AFib, one stroke makes it more likely that future strokes will occur. Severe strokes commonly cause disability or even death. Xarelto should only be prescribed to patients who are good candidates for the medication. Some people are advised against taking the medication, as they’re more likely to suffer adverse effects. Pregnant. Xarelto could affect fetal development or cause bleeding that put the mother and fetus at risk. Patients who become pregnant while taking Xarelto should alert their doctors as soon as possible in order to control bleeding risks. Breastfeeding. It’s not known whether Xarelto can be passed to a child through breast milk, so women are advised to discuss their risks of taking Xarelto while breastfeeding with their doctors. Scheduled for surgery. Patients should tell all of their medical providers that they’re taking Xarelto, and consult with their prescribing physicians before any surgeries or dental procedures. If you or someone you love was injured as a result of taking Xarelto, the McGartland Law Firm can fight on your behalf. We can investigate the circumstances of your injury no matter which state you live in, and we do not collect any legal fees unless we win your case. Contact us today through our online form, or call the number on this page to speak to an attorney about your claim.